These days, many people work from home especially those who work as a freelance in creative fields or self employed. Hence, a comfortable and inspired workspace is extremely important as it will boost up your productivity and efficiency! Besides, who doesn’t love to work in a beautiful workspace. 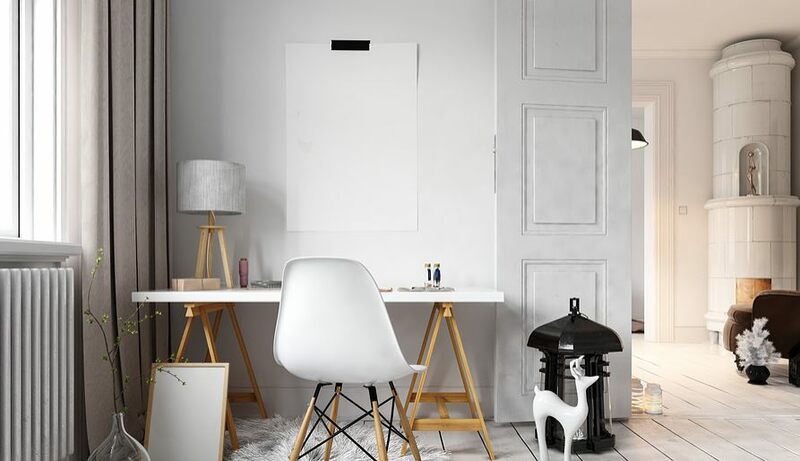 If you want to revamp your workspace or create your very own workspace, make sure you keep reading as I’ve compounded a list of how others expressed themselves in this personal space. 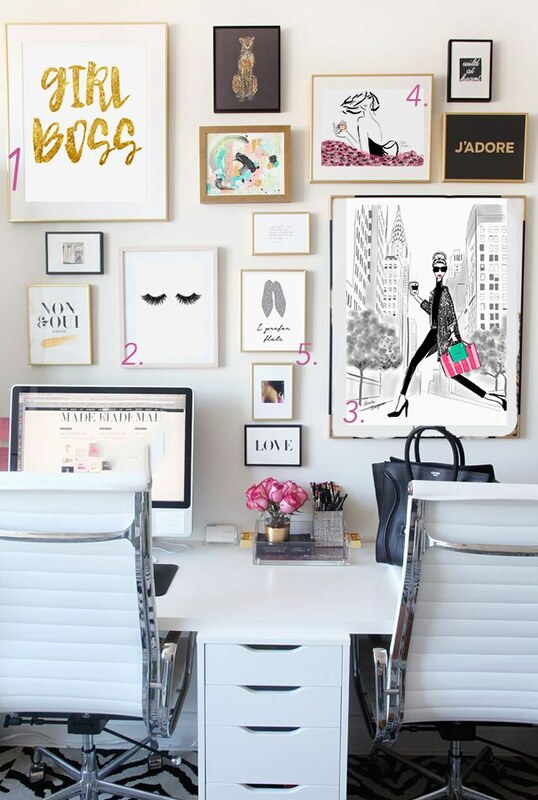 Trust me, your workspace can be one of the most stylish spaces where you spend your time! 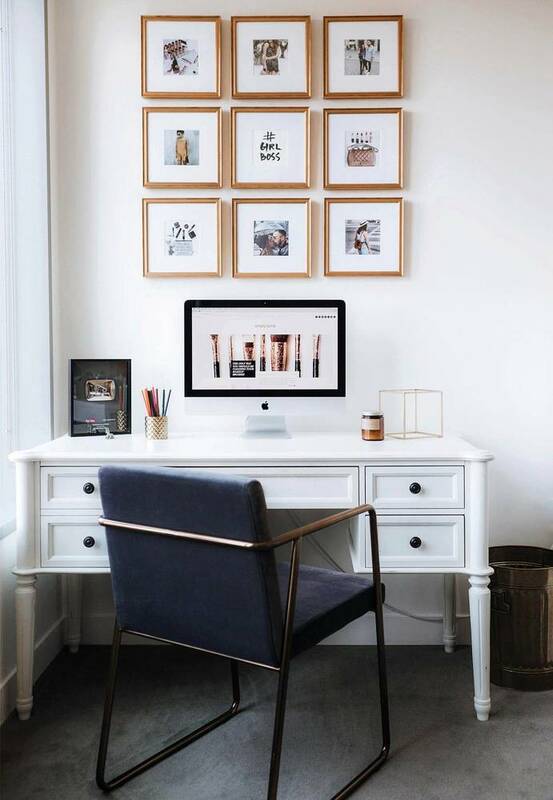 If you’re not easily distracted or perhaps working on creative fields, this grand gallery wall could be a perfect idea for you. Not only it keeps you inspired from time to time, it also makes a perfect visual. Gallery walls as a general concept have been popular for quite a while and it’s safe to say this game is still going strong! The presentation of many frames allows a grid gallery to visually seen as a massive single piece of art rather than a collection of pieces. You can use this gallery wall as a mood board for yourself by picking photos that inspire you from time to time. In order to create that sophistication, keep it simple with neutral colours frames. If you’re obsess with gold, go ahead by choosing gold palette frames. It will instantly add a splash of luxurious and classy to your workspace. 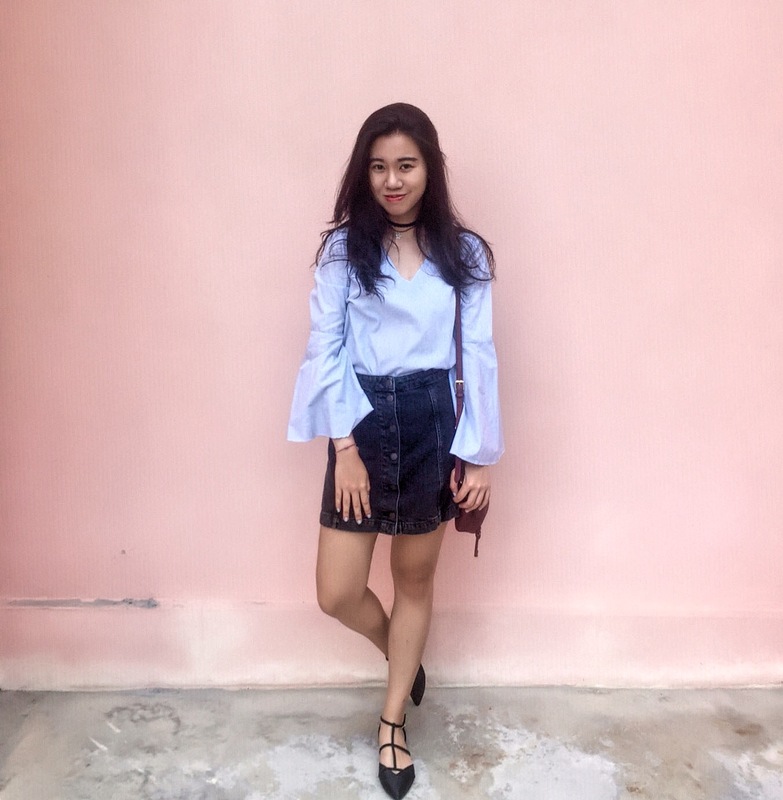 If you’re the feminine girl, you can always bring your vibe to the desk by opting pink and gold as both complement each other very well! Don’t afraid to show yourself, if you like bold colours, express it! 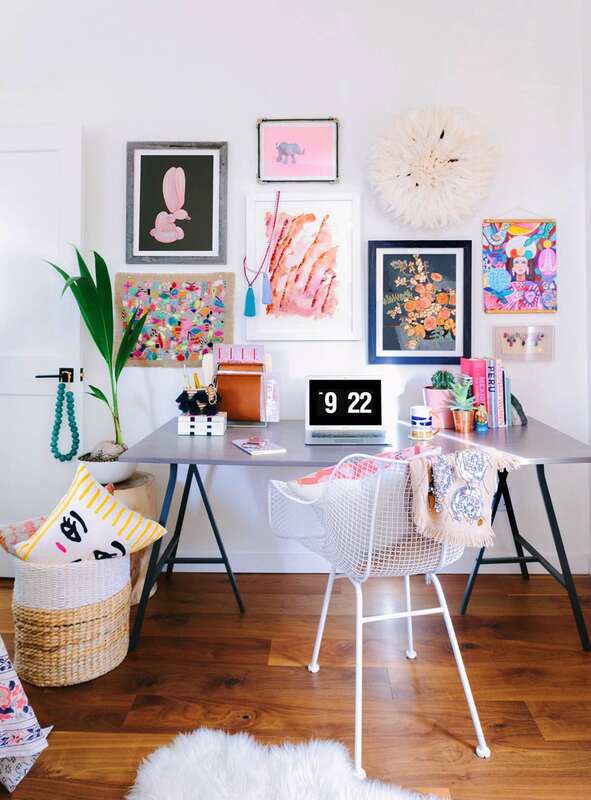 Look how vibrant is this workspace with all those colourful artwork. Surround yourself with positive vibes! 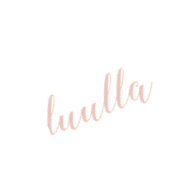 Such as put mantras in the frame to help you get through your workday. You can also add a pop of colour to give the space a great energy for being productive. If you are someone who easily stressed out or easily distracted while working. Pick simple shades such as black and white as they create a soothing ambience. Colours are extremely important when comes to interior design as they will affect one’s mood. Aside from these, choosing the correct colour will also create an illusion of wider space. 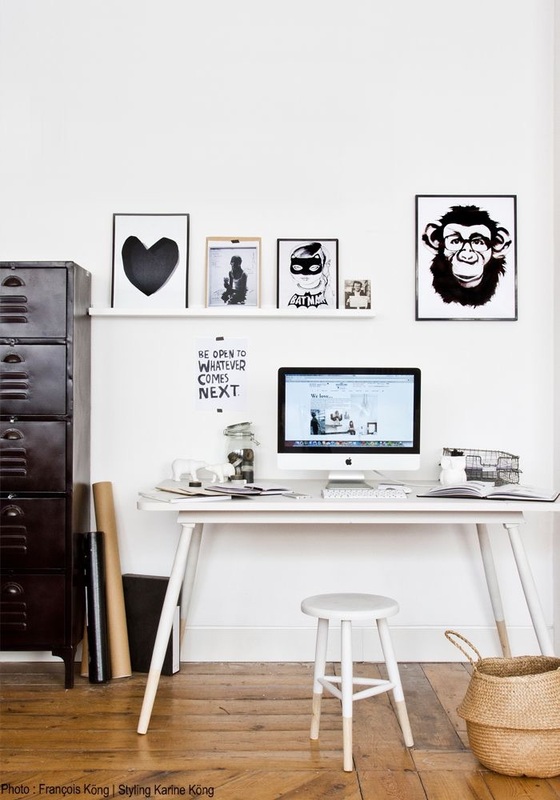 Hence, black and white palette is ideal for workspace as they create clean, minimal and modern look. Think that black and white palette is boring? This picture has proven you’re wrong. 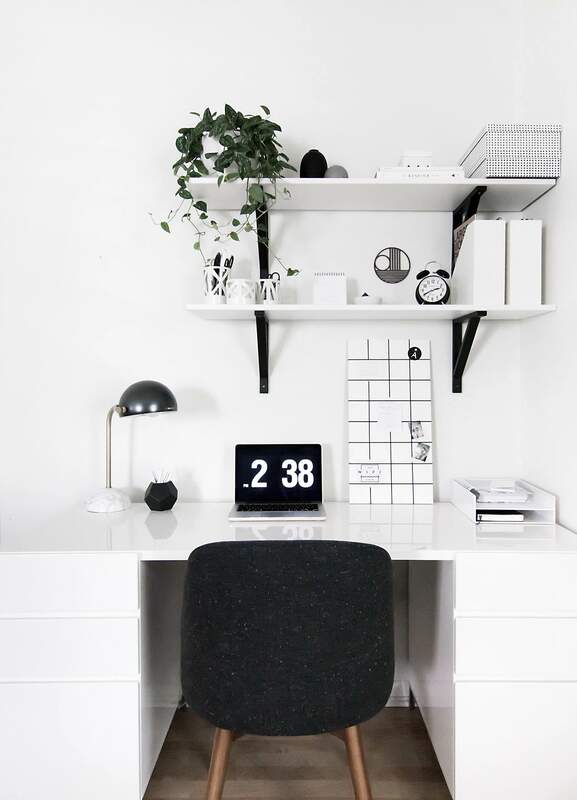 With black and white, it creates a clean, minimal and modern workspace. If you have wooden floor, you might want to try black and white palette as they complement each other. 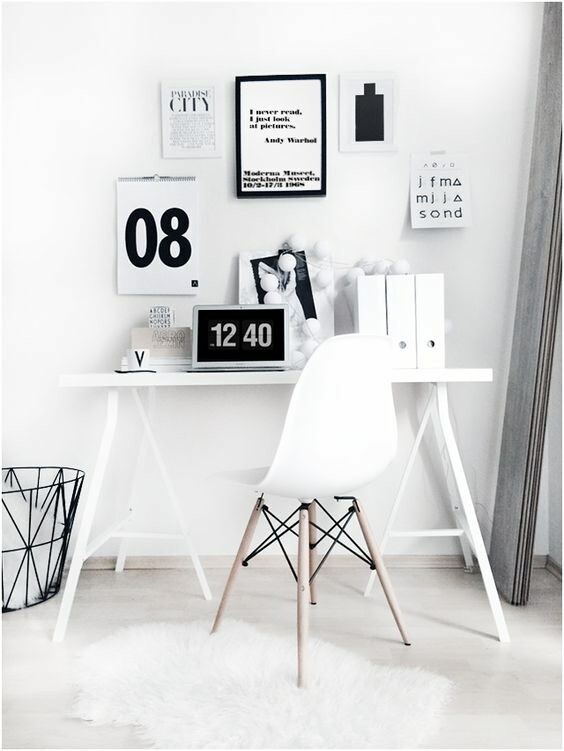 You’ll be surprised an all white workspace will also give you a splash of elegance. Aside from painting your walls in black and white, you can actually extend it to your furniture or even your stationery. 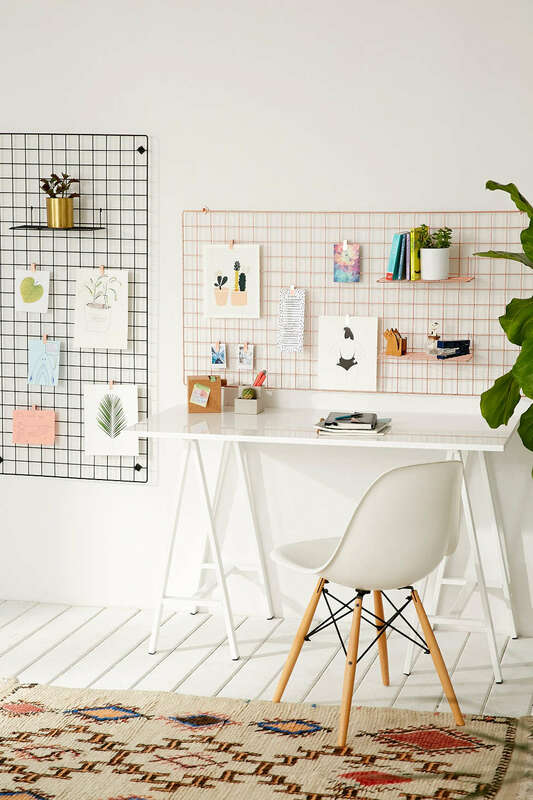 If gallery wall isn’t your thing as you feel it is too organised, then a wire organiser is the best substitute for you, the free spirit. The wire organiser is a great way to keep your important notes, dates as well as inspirational images without making your space feel cramped. 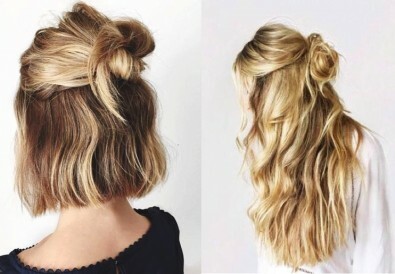 Besides, it is more convenient to treat it as a mood board compared to the gallery wall if you tend to change the arrangement or items on your mood board frequently. 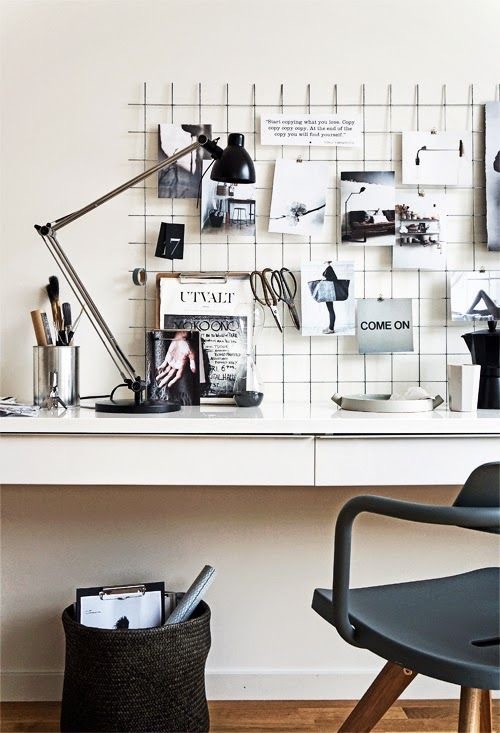 Embrace the industrial concept by using a wire organiser to pin your inspirational quotes and images. 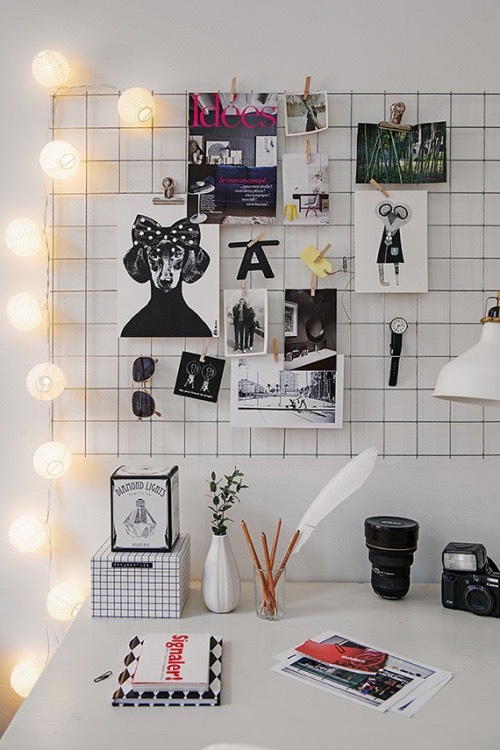 Don’t restrict yourself on things you can hang on the wire organiser! If you love fairytale lights, they do made a beautiful decor. Besides, they also brighten up your workspace. One thing I adore about this wire organiser is it looks peanuts and looks extremely great as a decor! 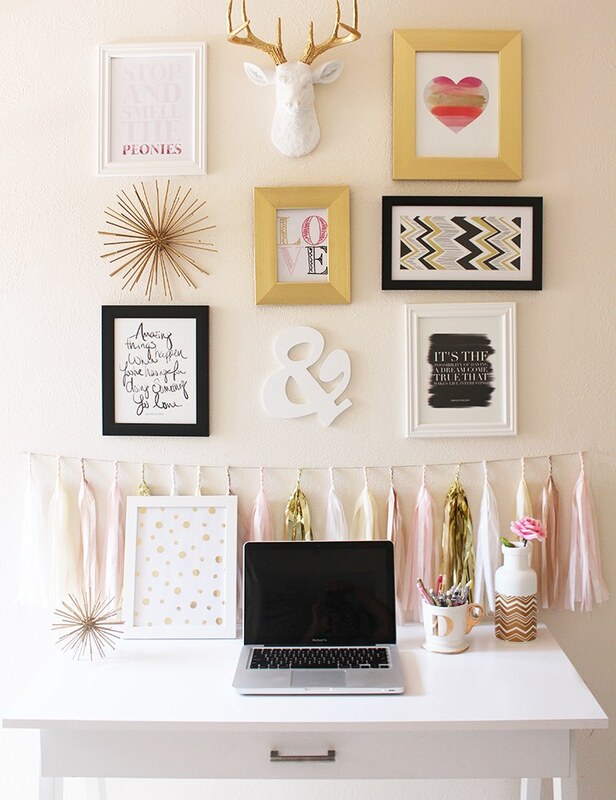 You can also express your creativity by giving your wire organiser a pop of colour. Who says you got to stick with black when you can spray them into rose gold! 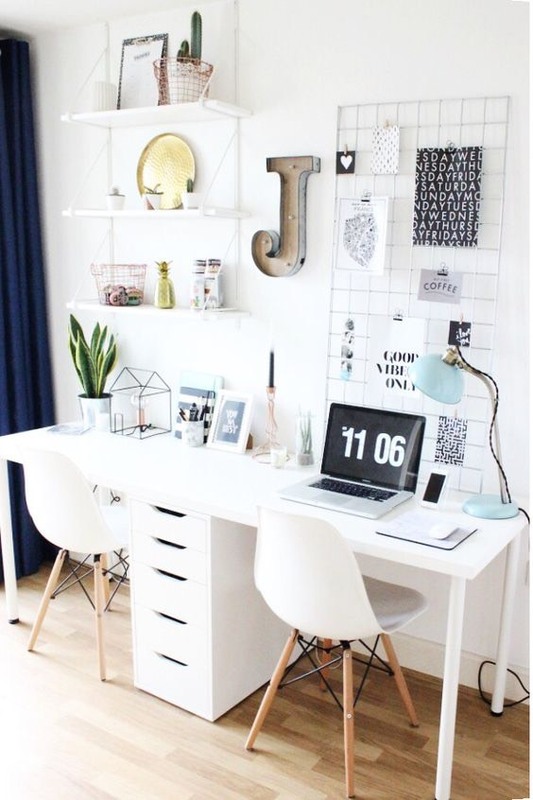 Utilise the wall space above your workspace wisely by using wall shelves. Wall shelves not only keeps everything organised and out of the way, it can also be part of the decoration. If you want shelves that look light and airy, pick those wiry style. Keep the shelves simple and put together by adding some plants . The black and white shelves not only complements the monochrome theme, it also make everything look organised. Like I said if you prefer something airy and light, pick those shelves which are in white wiry style. If you have a limited space, wall shelf is literally your life saver! Wall-mounted shelf is a great place for you to showcases aesthetic which will complement your workspace! It is extremely good to surround yourself with plants as it has been proven to help with stress levels. If you pick the right ones, they can also help you to breath better! Hence, incorporate some plants such as succulents. 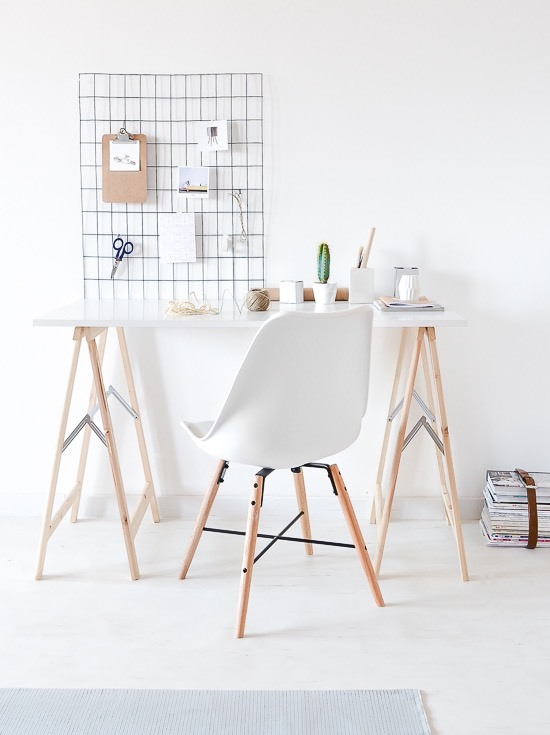 Trust me, it will add a pop of colour and polish up your workspace! 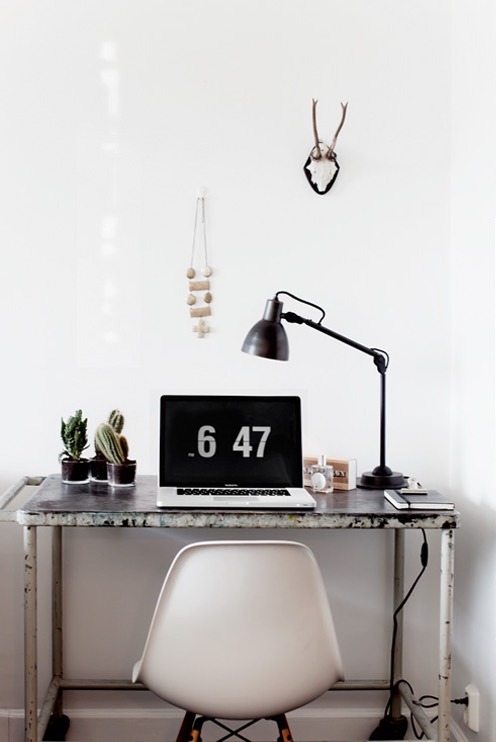 This pretty industrial workspace incorporates some succulent plants such as cacti on the desk. Surround yourself with plants with different texture will definitely elevate your workspace. 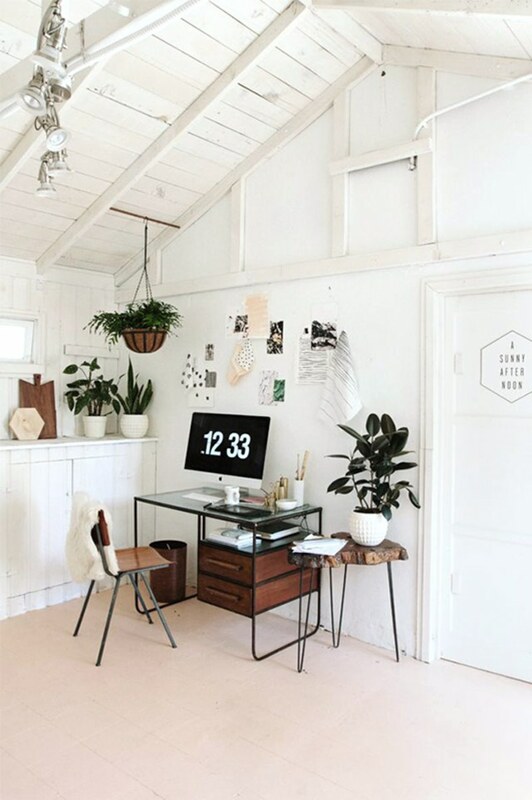 Don’t you think with those plants, it makes the entire workspace looks more put together? 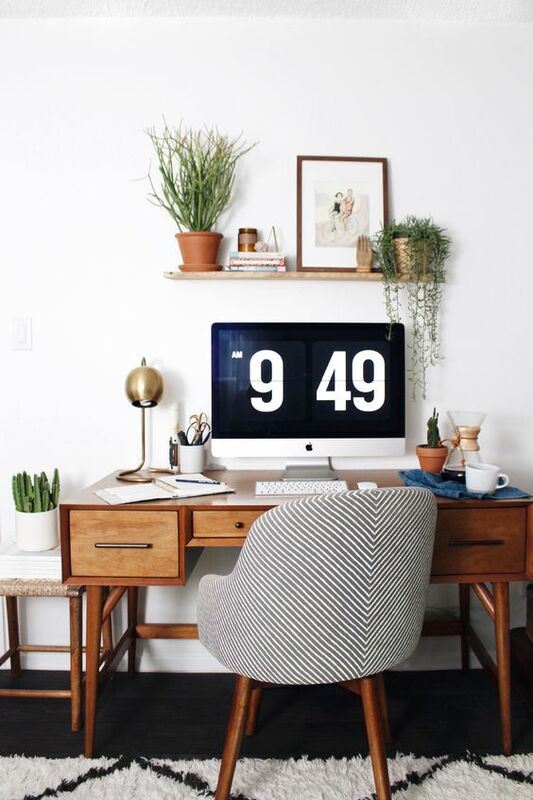 When you incorporate plants into your workspace, it liven up the space and also give you te positive energy. That’s it for today’s topic. 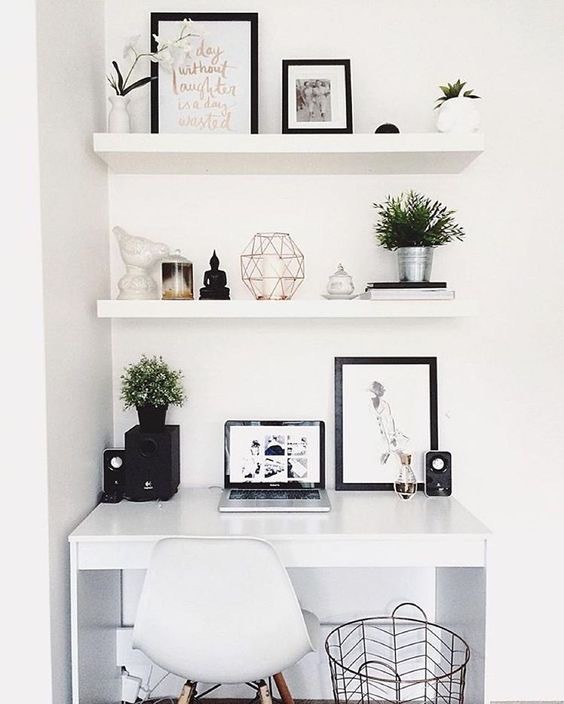 I hope you guys find some inspiration to revamp or create a workspace for yourself! And remember don’t be afraid to express your creativity in creating this personal space.